25th birthday wishes may not mark a major milestone but these birthday messages are still important — they do celebrate a loved one's quarter century of life. I think someone's quarter-century birthday is a major enough occasion to pick a winner of a birthday verse here. What makes a winning 25th birthday message? What constitutes a truly great birthday wish for a 25 year old changes with every birthday girl or boy. But there's one constant — one ingredient that makes all the difference to the success of your birthday greeting: meaning. 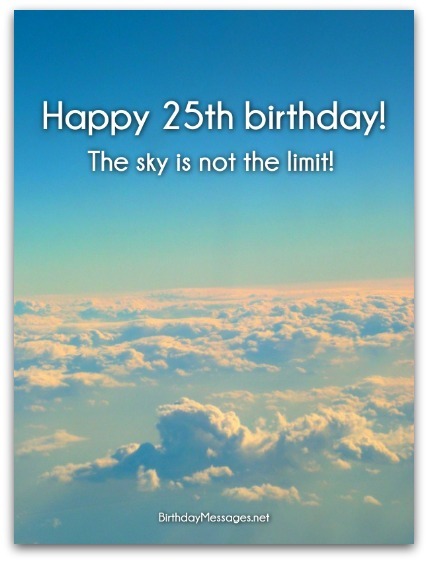 In other words, the 25th birthday greeting you select should be meaningful to you and the recipient. For more tips, read Message Guy Tip #10 (right below). Yes, it's true that turning 25 is not a “milestone” birthday. It's not like turning 16, 18, 30, 40 or 50, for example. However, this birthday does signify an important occasion: you don't turn a quarter of a century old every day. Who is your birthday greeting for? If this verse is for your significant other, go "romantic." If it's for your child or grandchild, go sentimental or inspirational. What happens if this message is for your brother, sister, cousin or friend? On one hand, this birthday is fodder for age-related jokes. On the other hand, it's also an opportunity to teach an important life lesson. Of course, you can write a message that’s both serious and funny. The degree to which you use one style over another depends on the personality of the birthday boy or girl. Whatever tone you choose, send a birthday message that also best express your feelings. Wishing you all the joy you can take — and more — on your 25th birthday and beyond! Have a super-duper birthday! Wishing you an unforgettably happy day! 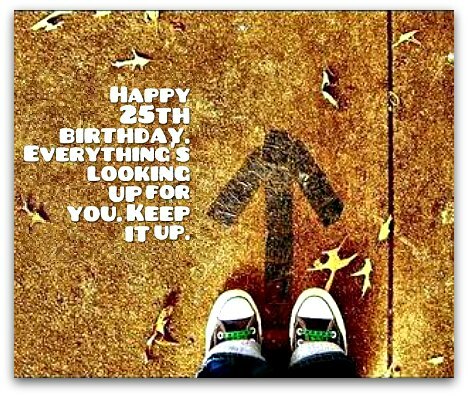 Hoping your 25th birthday is the start of a new era of prosperity, purpose and happiness for you. A birthday as momentous as your 25th deserves an amazing celebration. Have a blast on your special day! Congratulations! You’re finally a quarter century old (in other words, just about ancient). Happy 25th birthday, old fart! Wow, it’s the 25th anniversary of your birth. How does it feel to be “old”? Happy 25th birthday! This is one of my top picks because it has a heartwarming, uplifting message that any 25-year-old birthday boy or girl would enjoy receiving. After all, if you have happiness, hope, health and success, you got just about all that life can offer you. May the next three quarter centuries bring you as much happiness, hope, health and success as your first. Happy 25th birthday! There's no reason to stop now! You don’t turn 25 every day, so let the party begin. Happy 25th birthday! Happy 25th birthday, old fart! Don't be in a rush to get to your 30s — you may pass out from the effort. You deserve more than the best. Wishing you a year’s worth of joy and riches on your special day. Happy 25th birthday! Bravo! You're one-quarter of the way to turning a century old! Happy “Quarter of 100th” birthday! The greatest years of your life are still in the future. Enjoy every day, starting with your 25th birthday! 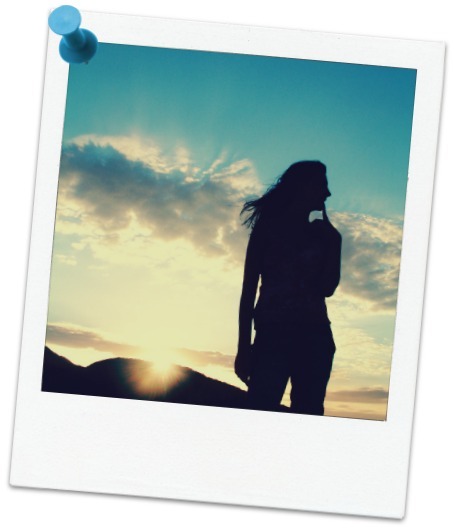 At 25, you are halfway to 50, so start enjoying your youth before, gulp, you get old. Let’s make your birthday epic! 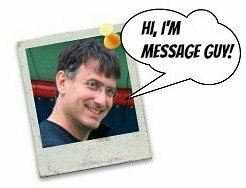 Don't know what you want your message to say? I came across an excellent article on turning 25. It will help you choose what you want to say in your birthday message. Click here to read it right now. Hoping you get the whole birthday package: great food, drinks, fun and lots of cake and gifts. Come on, let’s start celebrating! May all your dreams come incredibly true and only get better with time! Have an amazing 25th birthday! You deserve more than a "happy" birthday. You deserve a joyful, cheerful, blissful, ecstatic, jubilant, euphoric, enjoyable, exciting, wonderful birthday over the moon, on cloud nine.